Serious woodworkers or just beginners will tell you how important it is to get a router. 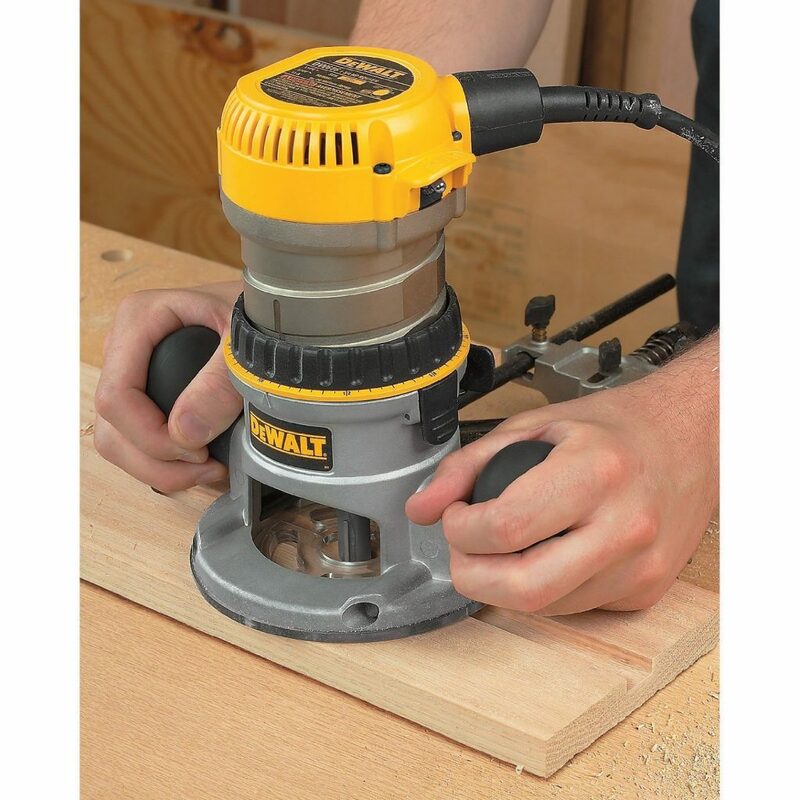 Woodworkers who have the Dewalt DW616 take a lot of pride in not just their capability but the ability of their machine as well. The Dewalt DW616 can give pride to any woodworker out there as it can route even the most demanding woods. With its 1-3/4 horsepower in a fixed base router, you get a micro fine depth adjustment ring that allows for accurate depth adjustment. When you need a router for a professional jobsite or something handy to have in your own woodworking shelf then this is the router you want. It not only has the horsepower needed but also has an 11 amp motor which can give you all the power required in a router. This machine offers durabilty. This tool comes with a switch that is dust sealed so no matter how rigorous the job becomes, you can be confident that your machine’s switch is protected against dust ingestion. This ensures that your tool has longer switch life. 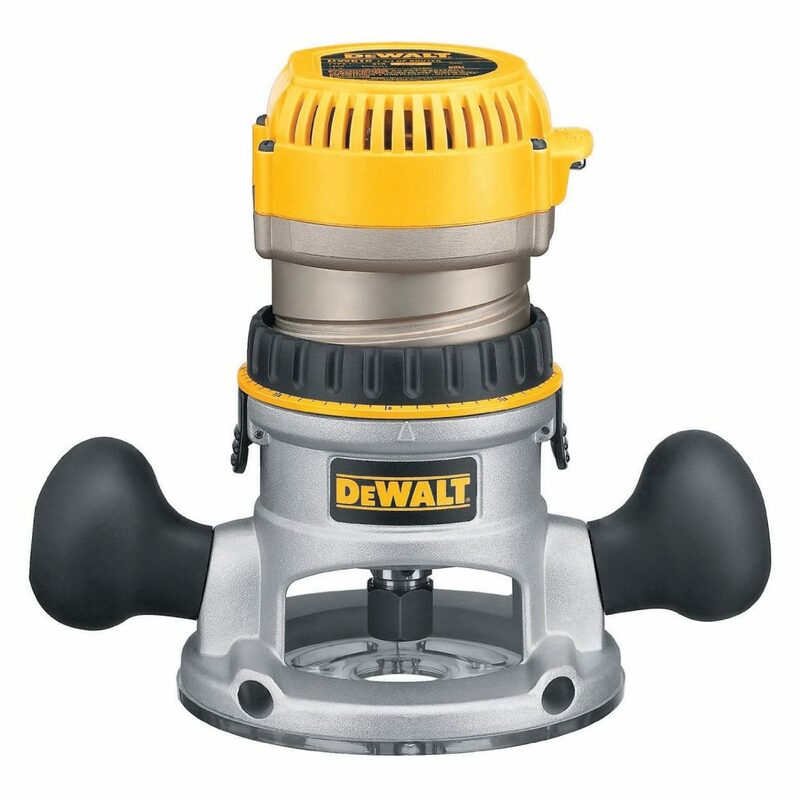 When you want a longer lasting depth adjustment that’s smoothly achieved then this Dewalt router is the way to go as its motor housing is nickel plated. An accurate adjustment in 1/64 inch increments is what you can expect out of this power tool due to its micro fine depth adjustment ring. 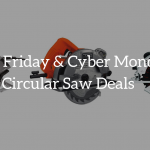 This comes in a clear and Lexan sub base that will guarantee you its durability and better visibility. It also has the capability to allow standard template guide bushings. A great router of course is not just all about power and performance. It also needs to be about your comfort and convenience. 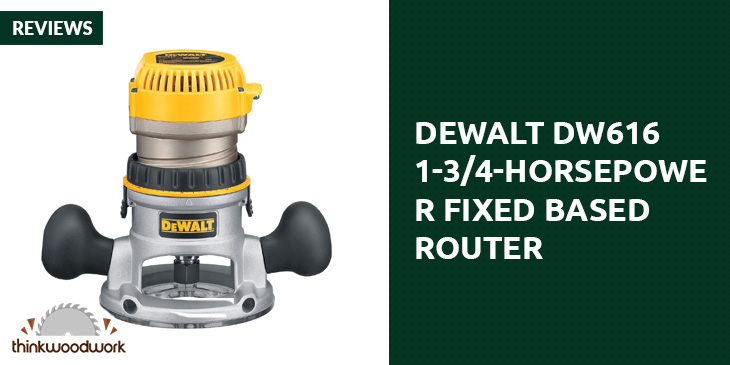 This router from Dewalt has been made to allow easy servicing. The steel motor cam lock as well as quick release motor latches make it convenient for users. Comfort is also what this tool can offer. Woodworking can be a tough job. 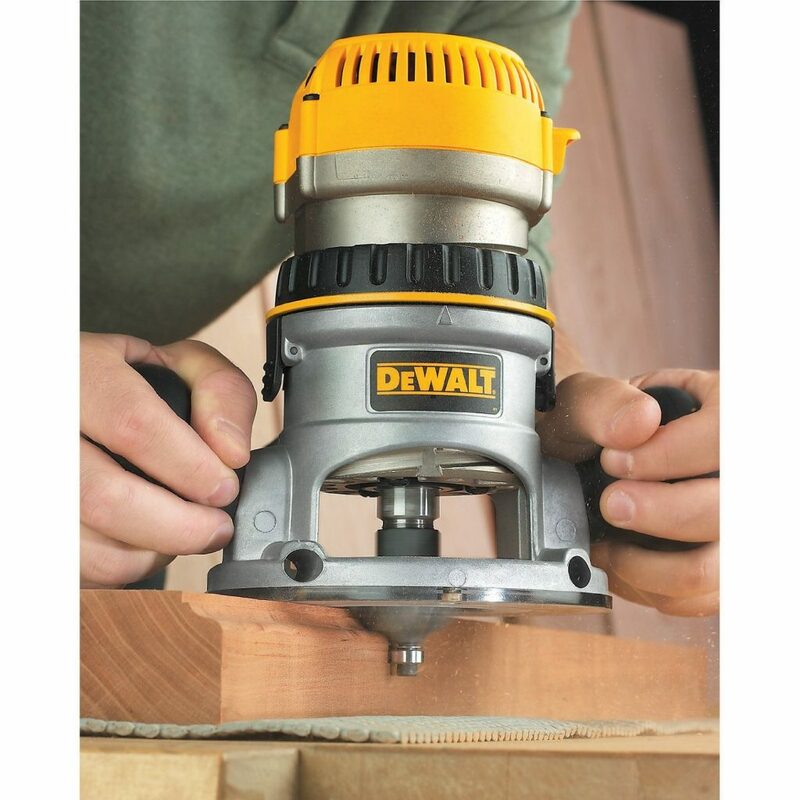 It can put a strain on you but with this model from Dewalt, you can work comfortably for hours as it has over molded rubber handles and a really well balanced body that won’t strain you as you keep yourself busy routing.